Welcome to our Design-Of-The-Month section. 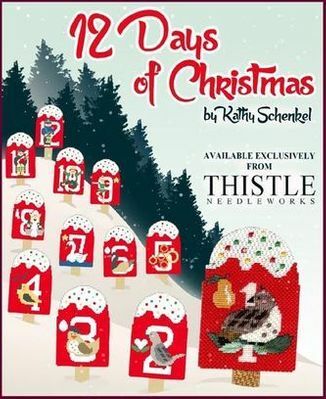 Our designs for 2019 are a set of 12 Days of Christmas needlepoint ornaments from Kathy Schenkel Designs. These 12 Days designs can be finished as dreamsicle ornaments with a stitched or wood stick, or without a stick as stand-ups. 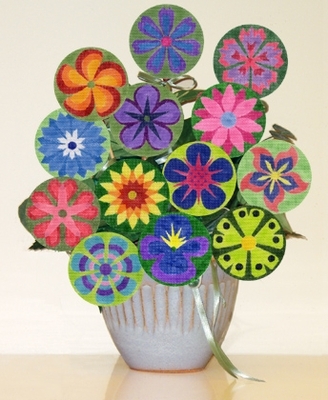 This was our Ornament of the Month Series for 2012-2013.